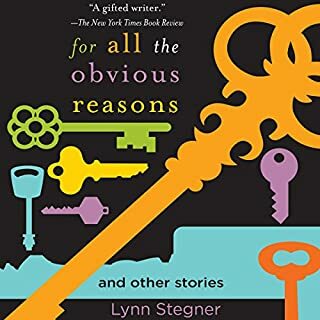 For All the Obvious Reasons is Lynn Stegner's superb collection of nine remarkably distinct tales of passion, clear-eyed wisdom, and honesty honed to a cutting edge. These are stories the listener can't shake: A woman living a marital shadow life realizes that her long compensating heart has begun to ominously decompensate. An affluent New Yorker becomes a hoarder to escape a future he cannot bear to take up. A baby dies in a miasma of sibling resentments, and from that the secrets of culpability unravel. A number of great stories, intimately told and beautifully written. Many set in American West.